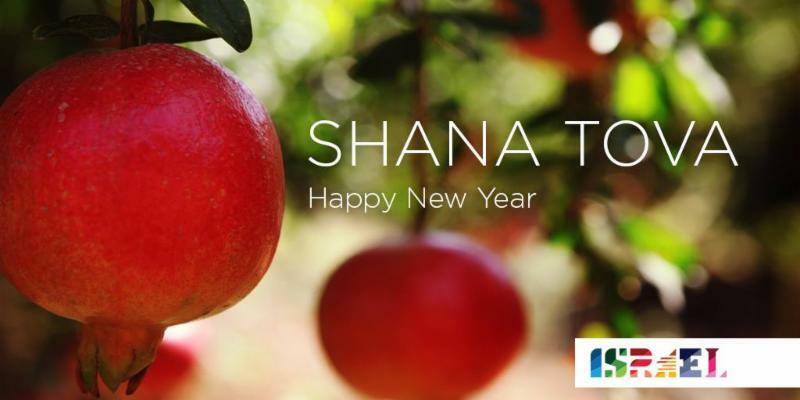 Prime Minister Benjamin Netanyahu’s Greetings for Rosh Hashana. DeKalb Fire Rescue is doing it again! 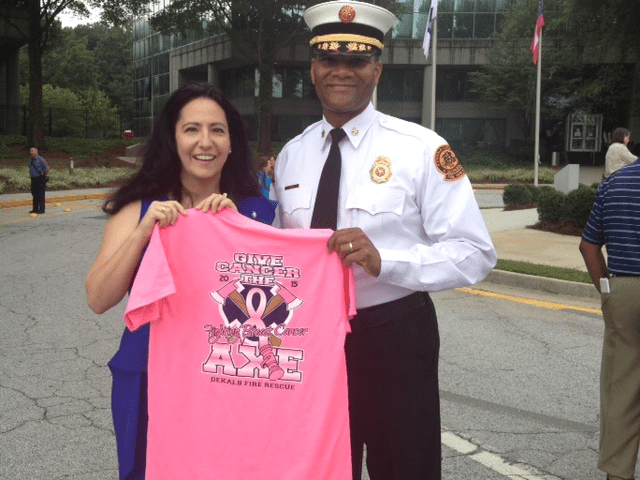 Show your support by purchasing a 2015 DeKalb Fire Rescue Cancer T-Shirt. During the month of October we’re wearing pink or blue shirts in support of Breast Cancer Awareness and Prevention. The deadline for orders and payment is September 16. The adult shirts are $20.00 and are available in sizes ranging from small to 4XL.We heard your requests, so this year we’re offering a “Never Too Young to Fight” Youth T-Shirt. These shirts are $13.00 and are available in youth sizes small – XL. Join us in the fight against cancer and order your shirt today. 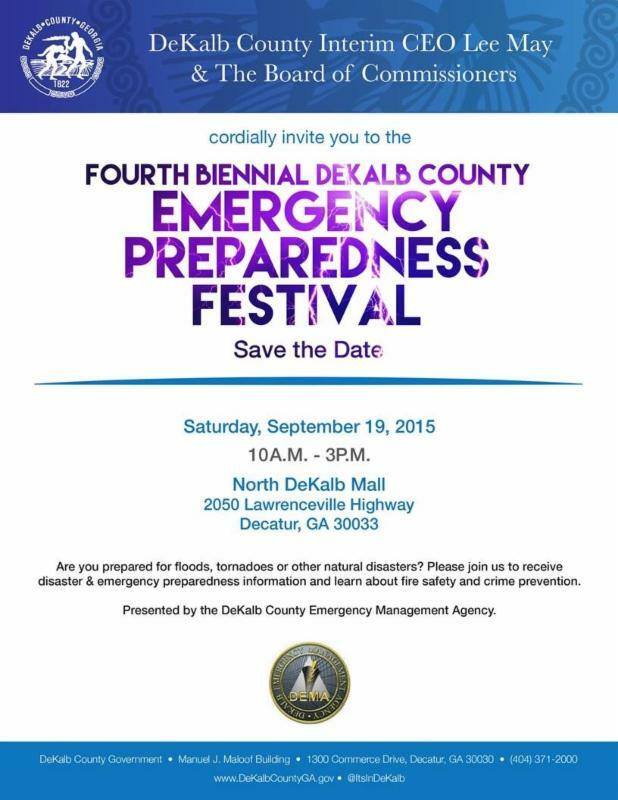 Contact Beverly Thompson at 770-414-2123, or email bsthompson@dekalbcountyga.gov. Proceeds will benefit DeKalb Medical Center’s Cancer Research Foundation. Thanks for your support! A BOND RESOLUTION AUTHORIZING THE ISSUANCE OF DEKALB COUNTY PUBLIC SAFETY AND JUDICIAL FACILITIES AUTHORITY REVENUE REFUNDING BONDS (PUBLIC SAFETY AND JUDICIAL FACILITY PROJECT), SERIES 2015 IN AN AGGREGATE PRINCIPAL AMOUNT NOT TO EXCEED $45,000,000 FOR THE PURPOSE OF REFUNDING ALL OF THE ISSUER’S OUTSTANDING REVENUE BONDS (PUBLIC SAFETY AND JUDICIAL FACILITY PROJECT), SERIES 2004, IN ORDER TO REFINANCE THE COSTS OF ACQUIRING, CONSTRUCTING AND INSTALLING CERTAIN PUBLIC SAFETY AND JUDICIAL FACILITIES TO BE SOLD TO DEKALB COUNTY, GEORGIA PURSUANT TO AN AGREEMENT OF SALE; AND FOR OTHER RELATED PURPOSES. A BOND RESOLUTION AUTHORIZING THE ISSUANCE OF DEKALB COUNTY BUILDING AUTHORITY REVENUE REFUNDING BOND (JUVENILE JUSTICE CENTER FACILITIES PROJECT), SERIES 2015 IN AN AGGREGATE PRINCIPAL AMOUNT NOT TO EXCEED $25,000,000 FOR THE PURPOSE OF REFUNDING ALL OF THE ISSUER’S OUTSTANDING REVENUE BONDS (JUVENILE JUSTICE CENTER FACILITIES PROJECT), SERIES 2005, IN ORDER TO REFINANCE THE COSTS OF ACQUIRING, CONSTRUCTING AND INSTALLING CERTAIN JUVENILE JUSTICE CENTER FACILITIES KNOWN AS THE GREGORY A. ADAMS JUVENILE JUSTICE CENTER TO BE SOLD TO DEKALB COUNTY, GEORGIA PURSUANT TO AN AGREEMENT OF SALE; AND FOR OTHER RELATED PURPOSES. October is National Code Enforcement Month as designated by the American Association of Code Enforcement (AACE). A “Sick of Signs” sweep will take place from 9 a.m. to noon on Saturday, September 19. DeKalb County will observe the month by launching the third Annual “Sick of Signs” campaign, a national effort against the proliferation of illegal signs that blights communities. Homeowner organizations, civic, and community groups are invited to participate by partnering with DeKalb County Code Enforcement Division to remove signs along roadways throughout the County. The “Sick of Signs” campaign is just one of many scheduled initiatives and activities to empower and educate residents on the importance of Code Enforcement and County codes in improving quality of life. DeKalb County Code Enforcement enforces codes and ordinances related to property maintenance, zoning, planning, special land use, signs and permits in a fair, transparent, timely and consistent manner. DeKalb County announces a new initiative in an effort to enhance the relationship the county has with its residents. DeKalb County is now utilizing OpenGov, a financial analysis platform that provides residents unprecedented access to the county’s finances. In addition to OpenGov, DeKalb County invites the public to receive its press releases – which detail the latest news and updates to local news media – directly. DeKalb is the first county in the state of Georgia to leverage OpenGov technology. OpenGov currently works with other local governing entities in the metro Atlanta area, including Alpharetta, GA, Dunwoody, GA, and Milton, GA.
With OpenGov, residents have instant access to the county’s budget and historical financial information, dating back to 2012, in a digital format that makes it easy to see how tax funds are collected and spent. Residents can explore revenue and expenditure trends and dive into the data through a variety of graphs and filters, all the way down to specific revenues or expense types. With social sharing features built into the platform, residents can instantly share data on social media or contact the county with additional questions. DeKalb’s OpenGov profile can be accessed at http://www.dekalbcountyga.opengov.com. The Department of Watershed Management’s CIP Division will host a Community Meeting on Tuesday, September 15, 2015, 6:30 p.m. at the DeKalb County Chamblee Library, 4115 Clairmont Road, Chamblee, Georgia. 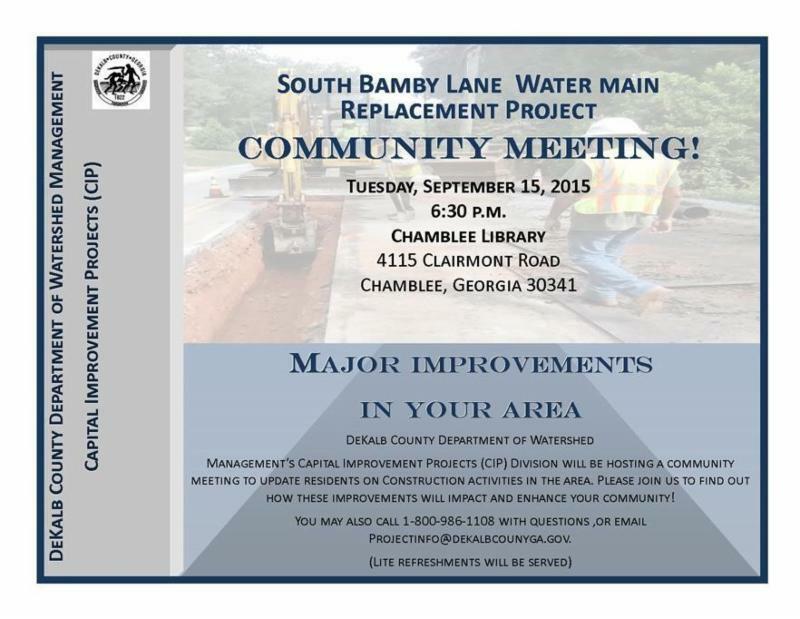 The meeting is being held to provide residents with an update on construction activities related to the South Bamby Lane Waterline Replacement Project. For information about this project: 1-800-986-1108, or they can email: projectinfo@dekalbcountyga.gov. 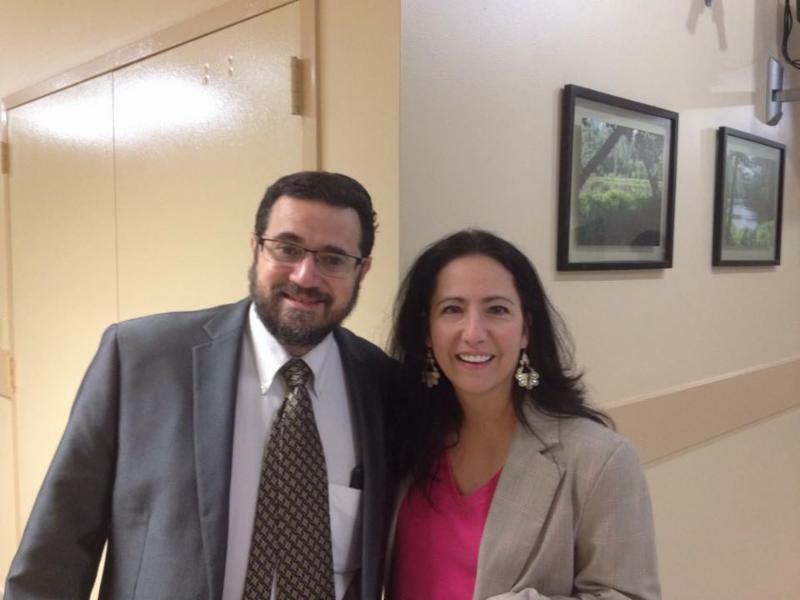 Proud to host Rabbi Joshua Heller of Congregation B’nai Torah who gave inspirational to DeKalb County BOC this week. 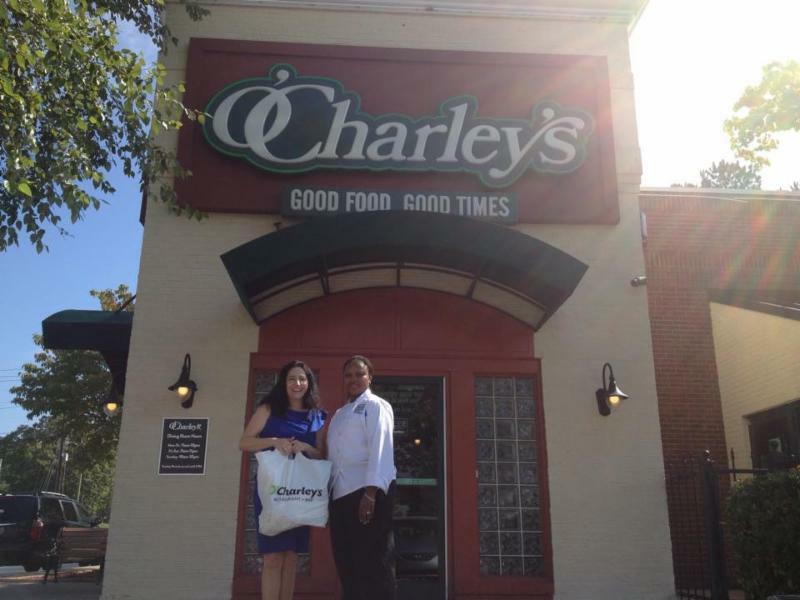 Thanks to O’Charley’s– General Manager James Slappy – for their generous donation of their famous bread to our DeKalb County police officer hero. I, personally, took these to him at Grady Memorial Hospital – the smile on his face was priceless. Turns out, our hero loves the O’Charley’s bread! 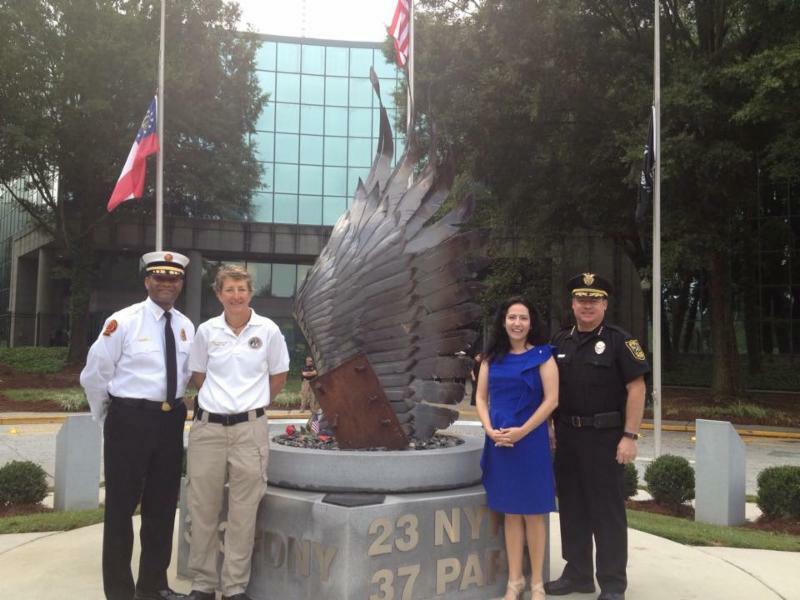 An honor to visit with DeKalb County first responder leaders Chief Susan Loeffler, Chief Darnell Fullum, and Chief Jim Conroy at the DeKalb County 9-11 Ceremony. 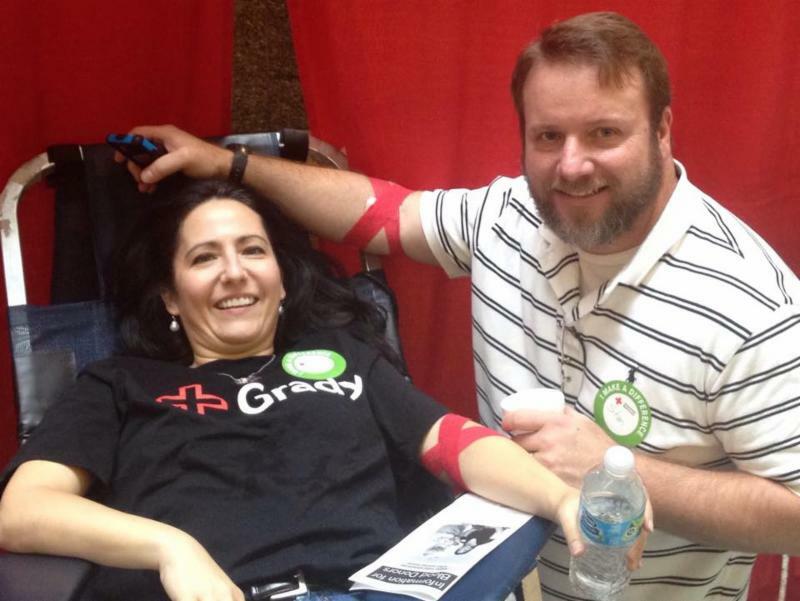 Stan Jester and I donated blood in support of the American Red Cross at Grady Memorial Hospital – the next session is in December. I will be promoting that session in advance. 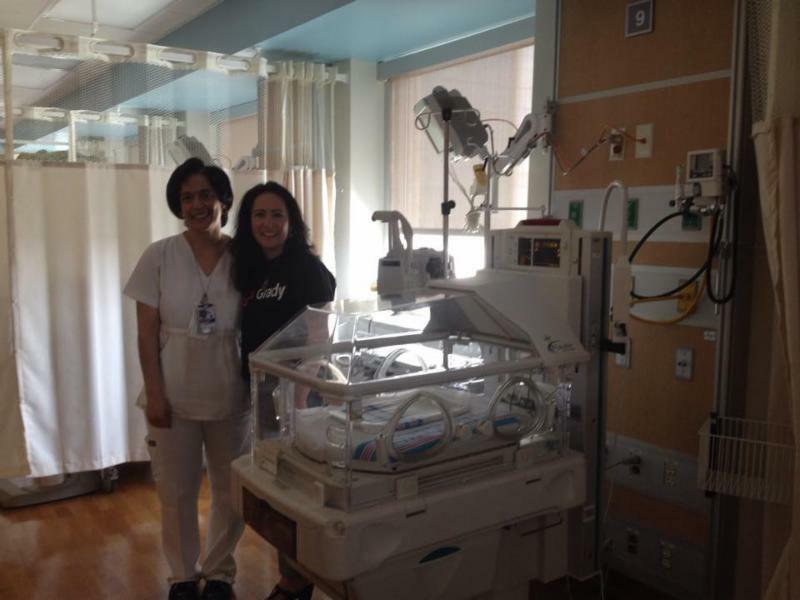 Commissioner Jester toured the Grady Memorial Hospital Neonatal ICU today with Nurse Jacque Jackson. 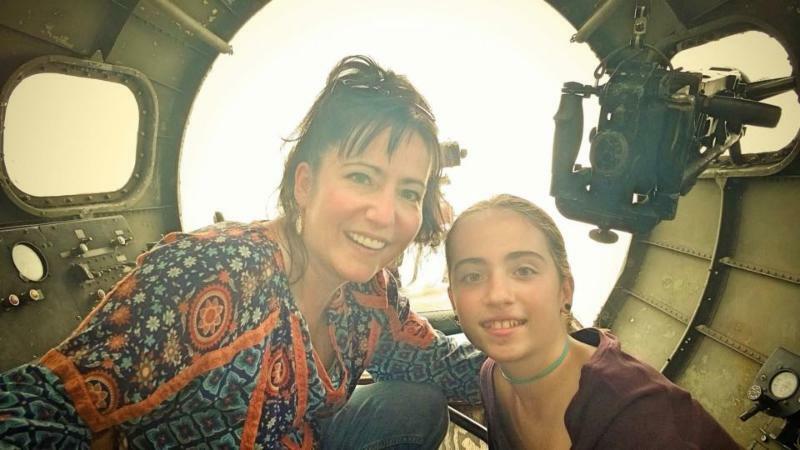 These amazing medical professionals save lives every day. 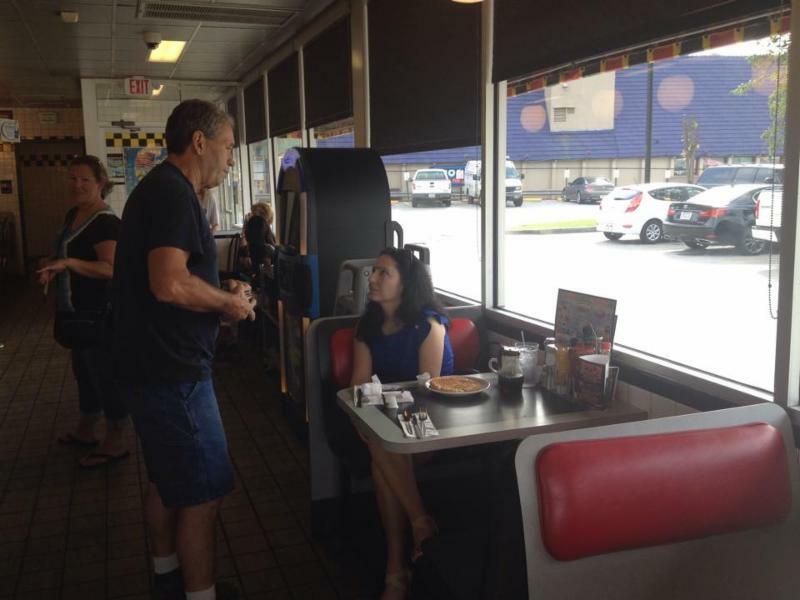 Commissioner Nancy Jester is always on duty for the taxpayers of DeKalb County – even at the Tucker Waffle House.